It's not just bots anymore. It's not only algorithms, auto-search settings, or pure chance that regularly distort our internet search results. 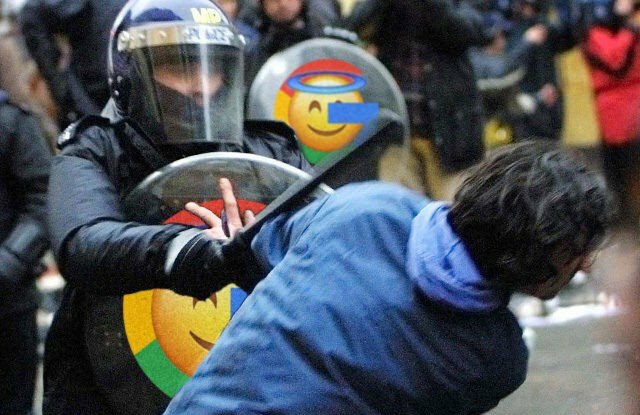 Now, we have direct evidence which reveals that internet giant, Google, is actively involved in distorting online searches for the sake of their own agenda. Initially, it was censorship and deliberate suppression on all opinions that disagreed with mainstream propaganda. This censorship by Google and parent company, Alphabet Inc., could be seen on nearly every online platform that has (allegedly) promoted the Deep State agenda of informational suppression and societal control. However, prior to this point, it was only reported that acts of unethical and unconstitutional censorship were merely accidental and the result of online algorithms that had temporarily gone awry. ...Not so any more. Now it very much appears that the company Google has been actively engaged in illegal censorship and manipulation of public opinion, possibly for the purpose of influencing elections and political perceptions of certain figures. We could speculate as to why such unethical practices have been maintained by the now notorious internet label. However, the situation is better explained by one of the main sources to break it. Here is Breitbart.com with the story. According to the posts leaked by the source, revealed that YouTube, a Google subsidiary, manually intervened on search results related to “abortion” and “abortions.” The intervention caused pro-life videos to disappear from the top ten search results for those terms, where they had previously been featured prominently. The posts also show YouTube intervened on search results related to progressive activist David Hogg and Democrat politician Maxine Waters. Pichai might claim that he was just talking about Google, not YouTube, which was the focus of the leaked discussion thread. But Aaronson’s post extends to Google’s other products: organic search, Google Home, and Google Assistant. Aaronson is also clear that the manipulation of the search results that are “prone to abuse/controversial content” is not a small affair, but are the responsibility of “huge teams” within Google. Ideally the proactive lever did this for us, but in extreme cases where we need to act quickly on something that is so obviously not okay, the reactive/manual approach is sometimes necessary. And also keep in mind, that this is different for every product. The bar for changing classifiers or manual actions on span in organic search is extremely high. However, the bar for things we let our Google Assistant say out loud might be a lot lower. If I search for “Jews run the banks” – I’ll likely find anti-semitic stuff in organic search. As a Jew, I might find some of these results offensive, but they are there for people to research and view, and I understand that this is not a reflection of Google feels about this issue. But if I ask Google Assistant “Why do Jews run the banks” we wouldn’t be similarly accepting if it repeated and promoted conspiracy theories that likely pop up in organic search in her smoothing voice. If we are familiar with the questionable situation at Google, we may remember the leaking of one controversial and particularly damning video of Google execs expressing disapproval of the 2016 election results. It was not so much the opinions expressed during this company-wide meeting that raised concerns. Rather, it was the intentions of these executives to directly oppose and possibly misrepresent a United States president that ultimately painted the internet giant in a legally and ethically questionable light. What's to be said about a company that claims to merely organize information and yet actively and deliberately manipulates that information to reflect its own bias political perspectives? What should the public think of executives who hide their Orwellian intentions behind a facade of fair and balanced professionalism? When did it become ethically acceptable to censor information we do not personally agree with? We might consider these questions as we hear the concerning statements made at the notorious company meeting that followed the election of President Trump.